Long-term Chelsea target and AS Roma central defender Kostas Manolas will reportedly see his release (buy-out) clause scrapped as part of a fresh deal in Rome. Football news Italian website Calciomercato.com report that the Italian giants are working on a number of new contracts for their players and the club hope to get rid of any bargain deals for possible suitors in the future. The Greek defender was heavily connected with a move to Chelsea the previous season and has emerged as a target on a host of occasions over the latest years, but he opted to stay in Italy. 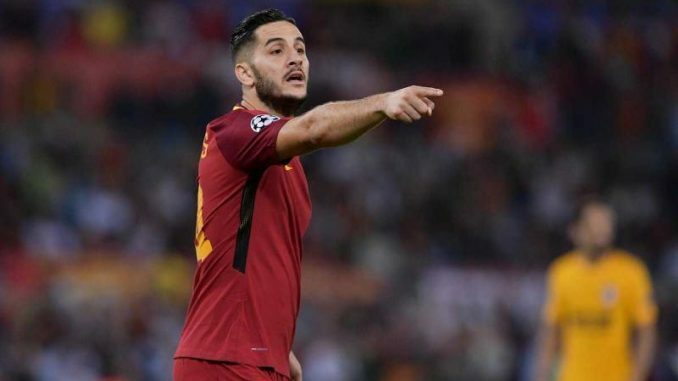 Manolas looked set to depart from AS Roma in the summer of 2017, with offers from Chelsea and Zenit Saint Petersburg, but a deal fell through. He was also connected with a switch to Stamford Bridge during the most recent summer transfer window with Italian manager Maurizio Sarri keen to strengthen defensively. AS Roma’s sporting director Monchi is hoping to get Kostas, promising midfielder Lorenzo Pellegrini as well as experienced duo Edin Dzeko and Daniele De Rossi to pen new contracts at the club.